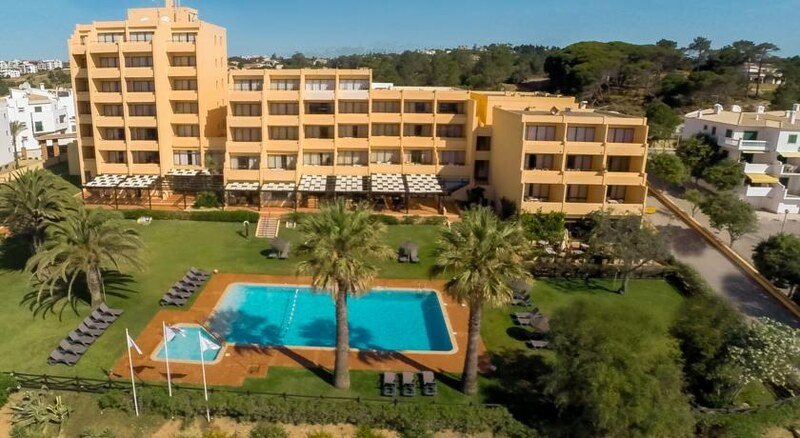 The Dom Pedro Meia Praia Beach Club is a delightful complex which enjoys an envious location just 150 metres away from the biggest beach in the Algarve (Meia Praia). This lovely apart hotel boasts an excellent range of facilities and is only 2 km from the picturesque village of Lagos with its International Yacht Marina, cosmopolitan restaurants and charming shops. There are great local sports facilities with nearby golf courses being extremely popular, and tennis courts just metres away. With Studios and One Bedroom Apartments available, this is an ideal choice for families and couples looking for sun, sea and sand with a comfortable base to return to. 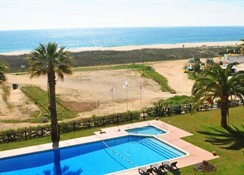 Getting to the hotel: 85 km from Faro International Airport (FAO). Local Tips: Golf courses are Palmares, only 2 km away and known as one of the best sightseeing courses in the Algarve, and Boavista Golf Course which opened in January 2002 and is situated between Lagos and Praia da Luz, 4 km from the resort. 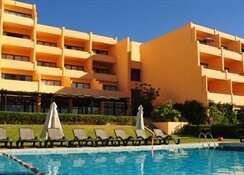 Good classic facilities here with a lovely pool area and pretty gardens. Food, drink and entertainment: Bela Vista Bar offers a wide choice of snacks, drinks and cocktails in a relaxed atmosphere and evening entertainment during the season. 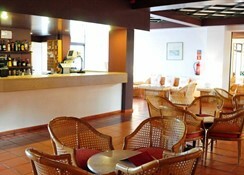 Onsite restaurant Atlântico, privately managed, provides tasteful meals and professional service to guests. Bar and TV lounge with capacity for 40 people. Sport, games and activities: Swimming pool for adults and children, surrounded by a large grass garden and palm trees overlooking the ocean, sun terraces, games room with pool tables, table tennis, darts and electronic games, guests have special discounts at the local golf courses; Palmares and Parque da Floresta, and tennis courts are available 300m away. On the beach there is sailing, scuba-diving, water skiing, windsurfing, and boat trips offered. 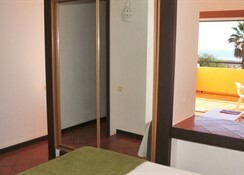 Additional: Reception and house-keeping, car and bike hire, excursions, mailing, laundry service and photo developing. No pets are allowed. 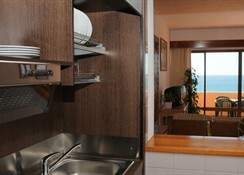 All the Beach Club studios in the Dom Pedro Meia Praia are well equipped with a kitchenette, small bedroom, terrace (with beach and sea views), individual heating, telephone, satellite TV, safety deposit box (extra charge) and a refrigerator. The One Bedroom Apartments offer a living room, kitchenette, terrace (with beach and sea view), individual heating, a telephone, satellite TV, safety deposit box (extra charge) and a refrigerator. Remodeling works in the building that will be end on 31st January 2018. The unit will closed during that period. We estimate that the works will be finished on 10.04.2018.